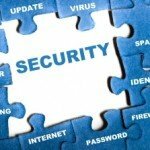 London, UK — (ISC)² ® (“ISC-squared”), the not-for-profit global leader in educating and certifying information security professionals throughout their careers, today announced the availability of the first two domains of the CISSP CBK iBook: Access Control, and Telecommunications and Network Security. The iBook will provide a cost effective and easily accessible education platform, meeting the increasingly mobile demands of professionals today. Available for the iPad, iPhone, and iPod, the Guide to the CISSP® CBK®, Third Edition iBook will give CISSP candidates a first look of this new textbook update with the flexibility to choose domains that will further their individual professional goals. The new Third Edition, also available in hard copy beginning in October, has been updated to reflect the latest developments in information security and provides a straightforward approach to the CISSP. Numerous illustrated examples and practical exercises are included to help professionals not only understand the concepts but also apply them in real-life. Study candidates, whether just beginning to study for the CISSP or continuing education in the field, can download all of the available domains at once or download only the specific individual domains they want. Access control is a foundation for information security and assurance. Recently at the forefront of the privacy debates, access control relies on the concept of confidentiality and integrity. As cloud computing and mobile devices become the primary standard of computing, access control remains a high priority in the information security profession. From data to video to voice, telecommunications and network security are increasingly becoming crucial aspects of the modern, global communications infrastructure. Accompanying this, the ability to disrupt and interfere with sensitive communications arises swiftly. Ensuring sound and effective communications infrastructure will become the standard for the information security workforce. “44 percent of respondents to the 2012 Career Impact Survey reported their organisations’ professional development and training budgets had decreased over the past 12 months. (ISC)² is committed to strengthening the cyber security workforce through convenient and economical education, even in times of distress,” said Hord Tipton, CISSP-ISSEP, CAP, CISA, executive director, (ISC)². Visit the (ISC)² iTunes Stores to download the domains of the Official (ISC)² Guide to the CISSP CBK, Third Edition. Professionals can download the remaining eight domains of the CISSP CBK as they are released gradually over the next several months. Domains for certifications CSSLP, ISSEP, ISSAP and ISSMP will be available via iBook in the coming months.